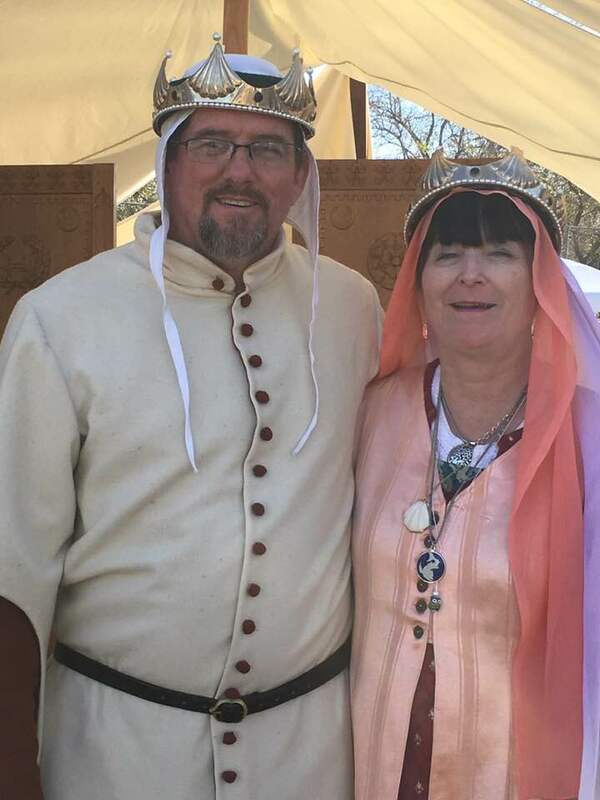 The Barony of Lyondemere is the local chapter of the SCA, the Society for Creative Anachronism. The SCA is a non-profit 501(c) society dedicated to research and re-creation of elements of the Middle Ages and Renaissance history. The Barony is also the parental group for the Noe College, the SCA branch at Cal State University of Long Beach (CSULB). We are also a part of the Kingdom of Caid, one of twenty “kingdoms” or major geographical units of the SCA. There are an estimated 30,000+ people involved in the SCA around the world. Council Meetings are held once a month, during which we discuss business items. Arts and Sciences vary in topic from month to month, but are a mix of hands-on and lecture-type workshops, varying from beginner to advanced skill sets in different arts and sciences forms. Fighter practice (Wednesdays) encompasses both Armored Combat (sometimes called Heavy Weapons) and Rapier Fencing. Armored Combat is an “unchoreographed martial art,” recreating swordplay of the middle ages, using rattan swords, shields, and a variety of other secondary weapons. Rapier Fencing is medieval fencing in the round. Archery practices (target archery) are held on Sundays.